Portsmouth have released 10 players, including midfielders Richard Hughes and Michael Brown. Goalkeeper Darryl Flahavan and striker Danny Webber have also been let go. Youngsters Marlon Pack, Pete Gregory, Tom Kilbey, Perry Ryan, Ellis Martin and Billy Goddard will not be offered new deals and will leave the club. Hughes and Brown have not played since December because of clauses entitling them to new contracts if they made one more appearance. Hughes, 31, made 165 appearances for Pompey following his 2002 switch from Bournemouth. His final appearance was against Leeds on 28 December. Former Sheffield United, Tottenham, Fulham and Wigan midfielder Brown, 34, joined Pompey in August 2009 and made 57 appearances, the last of which was against Millwall on 26 December. The duo agreed the clauses when Pompey were in the Premier League and were unwilling to accept new terms from the club. Former Southend keeper Flahavan, 32, failed to make an appearance for the club since his summer switch. 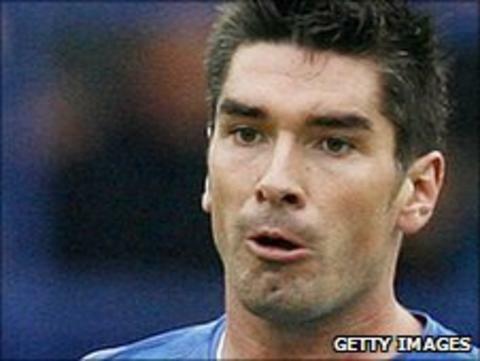 Ex-Sheffield United man Webber, 29, joined Portsmouth in 2009 but made just five league starts, featuring mostly from the bench. Pack, 20, made just two substitute appearances for the club in August before spending the rest of the season on loan at Cheltenham. Gregory, 18, made two appearances, while Kilbey, 20, played thrice for the club and ended the season on loan at Lincoln, who were relegated from the Football League. Ryan, Martin and Goddard never played for the first team.